I know I know, Friday is Any Size day - however I've taken a break from it for a couple of weeks while I try to collate all those who want to take part and get all their pics. 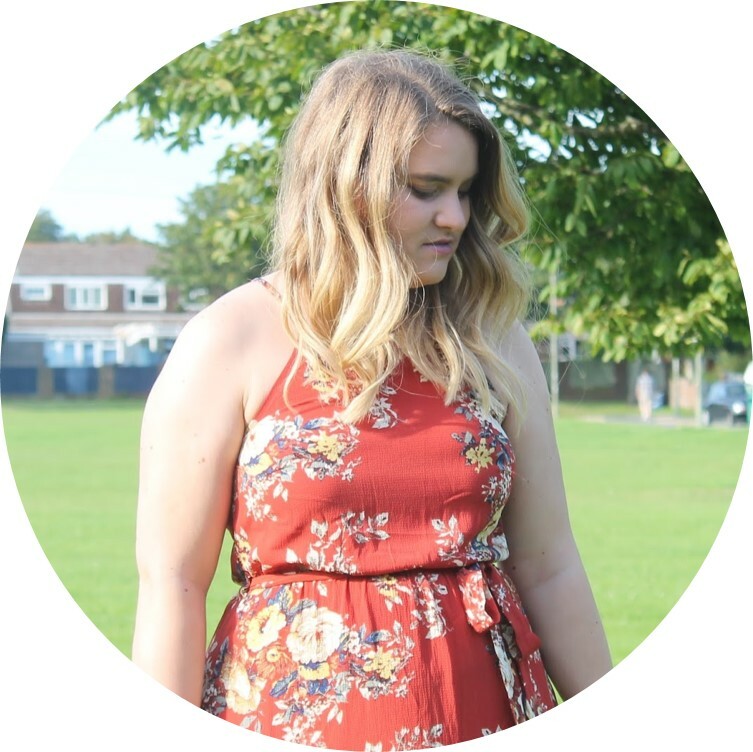 So I went with a beauty post today instead relating around lips - shocker I know! Rest assured however, Any Size will be back, 2 weeks from today. 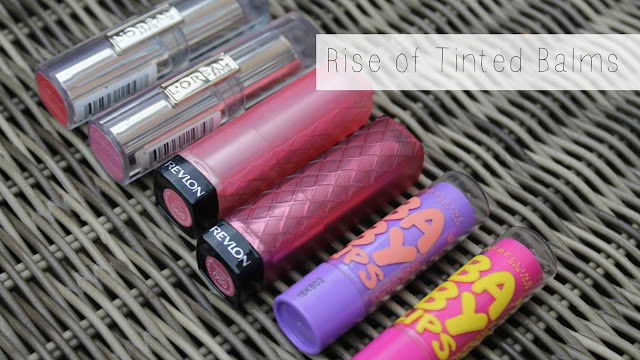 With the hype surrounding the launch of Maybellines new lip balms, Baby Lips, I thought I'd look at the trend that is tinted balms. We've always seemed to have them in forms of essentials, like Nivea and Vaseline (although I use tinted very lightly in terms of vaseline). Now however they are appearing more on our favourite drugstore make up brands shelves with a higher price tag in some cases, and a lot more excitement. In particular these three lines above. So, I thought I would take a look and test all three, for the sake of you guys of course, and give my ratings. A very light balm by L'Oreal, I love the sleek packaging and I've got my bestie Amber hooked on these. They are very easy to apply and like I said, light so comfortable to wear. Pigmentation wise these are really good - they have a sheer finish but still give a punch of colour which I love, one of my personal favourites being Rebel Red, which I like to think as a "gateway red" for those not quite brave enough to go the whole way. Moisture wise it's not the best out of the three - maybe because it is so light - but I don't tend to see a difference in terms of the condition of my lips with these. The first to really grab peoples attention, and probably my favourite. These are really nourishing, feel like a balm but put a lovely dose of colour on the lips as well. Pigmentation wise these are still great, it honestly depends on the shade you get with these as some as strong and some aren't fab, but it all depends on what you want, meaning there's a shade for everyone. My personal favourite is Sweet Tart, a lovely warm pink that brightens up your entire look at the same time as making your lips super luscious and moisturised. The cheapest out of the three and the newest to hit our stores, there has been HUGE hype around these. Three of the collection are tinted and I've got two of them. Moisture wise these are lovely, very light but feel like Nivea lip balms to me. Colour wise, again a sheer finish but with good pigmentation. I love Pink Punch, a gorgeous baby pink that's super cute and glossy. Moisture wise they do feel nice, but not quite as nice as Revlon's offering. I love the packaging, it's incredibly fun and just super super cute. So it seems we have a tie - for me I still reach for Revlon's Lip Butters more, I just prefer the way they feel - Baby Lips wins more for price and packaging. There is no doubt that £7.99 is a bit much to pay for a balm, £2.99 is definitely a better price, but Lip Butters are the better product for me. What tinted lip balms do you love?